From forensic medicine to health visitor training, drop into the Treasures of the Brotherton to find out about the ground-breaking history of medical education in Leeds. Stethoscope not required. Join us for May’s Tuesday Treasure as we delve into the fascinating history of the Leeds School of Medicine. This month we are showcasing some of the treasures in our medical collections. 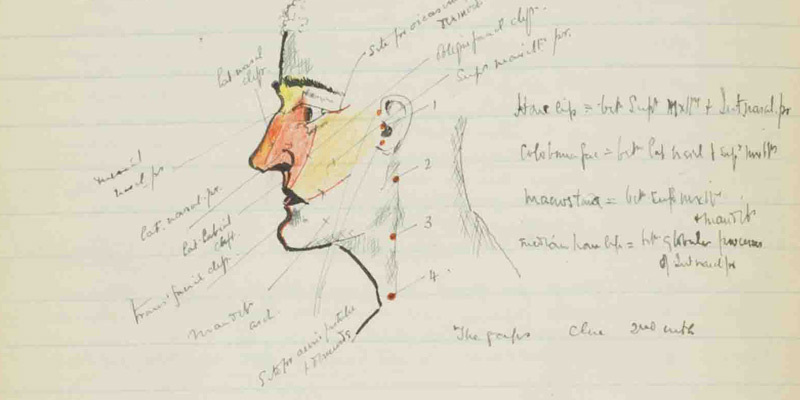 Explore a range of archival material, from the School’s administrative archive to its Health Visitor training course. See items relating to Thomas Scattergood who was the first Dean of Medicine at the Yorkshire College. Find out more about how the School has trained future doctors, surgeons, and health visitors over the course of its history. The Medical School opened in 1831 and pre-dates the University itself. Special Collections holds records dating from the founding of the School through to the 21st century. They cover the merging of the School with the Yorkshire College in 1884, and its later move to become part of the University of Leeds Faculty of Medicine and Health. This Tuesday Treasure event celebrates the completion of our cataloguing project Medicine in Leeds 1760–1999, which was funded by the Wellcome Trust.